Sword Art Online is now 8 episodes in and we are finally getting to the main story. In some anime series this could be considered a bad thing, where nothing really happened to garner interest and keep you entertained. Then there are series like Witch Hunter Robin where the first half is stand-alone and the second half follows a narrative in linear progression. Sword Art Online is thankfully of the latter quality and keeps things interesting in a stand-alone atmosphere. Sword Art Online has a pretty cool overworld. We haven’t seen this since around the first episode. So what does this really mean? As I mentioned before the light novel has an introductory chapter and then the story jumps two years. That’s the equivalent of 72 floors out of 100 that have been completed. 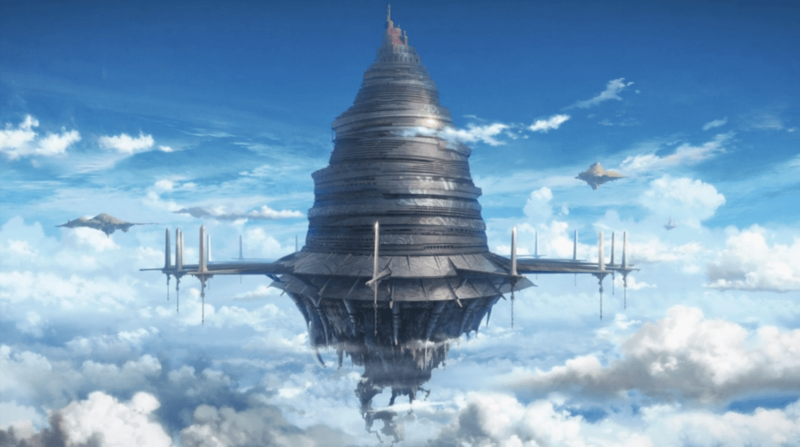 Remember, the entire point of SAO is the game’s creator locked 10,000 players into his virtual world and they need to climb all 100 floors to be able to log out. After the first novel was released others followed that covered various plots that happened before Kirito reaches floor 72. The anime series took the liberty to cover these side stories and progress the main storyline 8 episodes in. I truly believe this was their best choice, if anything because we know Kirito and some of the things he has gone through, the people he’s lost, etc. This makes the story all the more believable. Also, according to Asuna, less than 500 players now participate in the front lines. I don’t know how many people are left alive in SAO, but it’s clear that people are enjoying their virtual life over that of the real world. At one point when Asuna is cooking a rare rabbit that Kirito killed in a forest, she makes a comment about how things are simplified in the MMO’s world. In this case it’s the cooking. She also changed out of her combat armor and into a casual outfit in this scene, another example of an easier life as the change only took a few seconds. If anything Kirito was surely surprised to see Asuna dress more like a normal female; something he hasn’t really seen in two years. Kirito is blushing because Asuna changed into a regular outfit? No way! 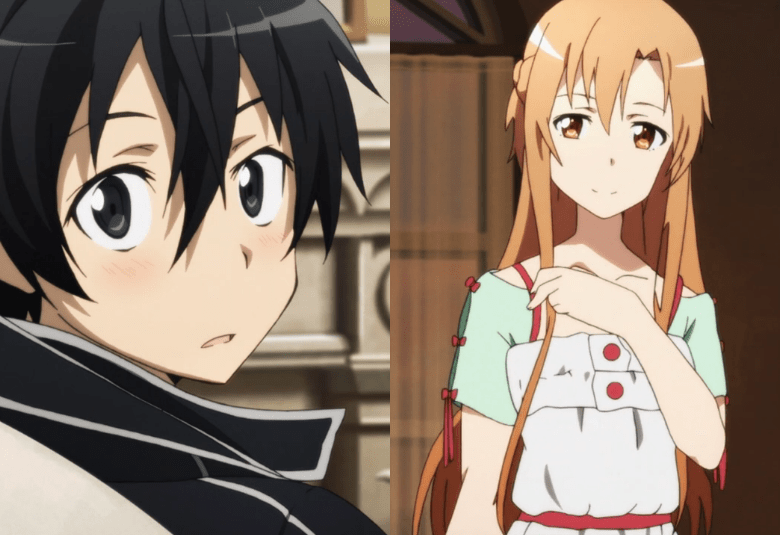 This episode centers on three main themes: people are becoming accustomed to the convenient world of Sword Art Online, the relationship between Kirito and Asuna, and Asuna’s need to get away from her guild for a while. Kirito and Asuna spent a lot of time together in this episode and the vibe was different from that of episodes 5 and 6. More time has passed and they are friends here, and Asuna cooking for our lead character suggests an even stronger bond. Even Asuna processes why she was so strict with some of her fellow guild members near the end of the episode, suggesting maybe even she herself would like to spend some more time in the game. Although this sort of contradicts what she said earlier about wanting to see more of the real world, this makes sense as it shows she truly is human underneath her virtual flesh. In the world of SAO she can be a leader and she can spend time with Kirito. If she and Kirito make it out okay they can see each other in real life, right? And so the episode ends on a cliffhanger. 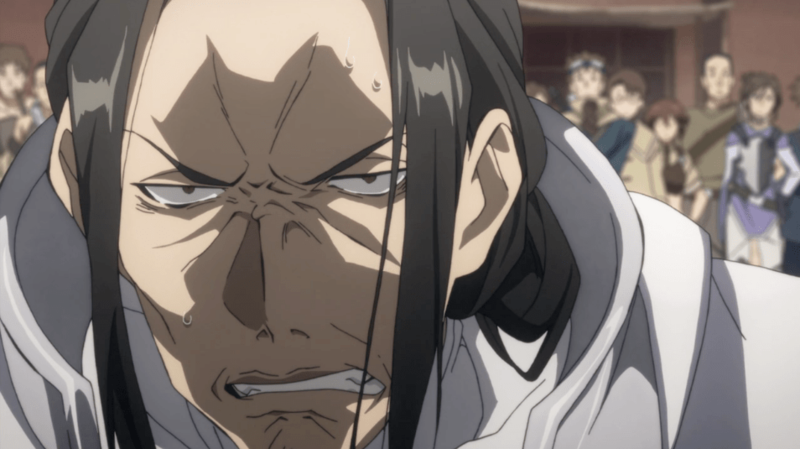 Asuna and Kirito have reached the floor’s boss and he sure does look like a mean one! We’ll see if they’re strong enough to take him down in the next episode, since the story is linear now right? Until next time! [Former Staff] Jared is a recent graduate from Fitchburg State University where he studied communications, video production, and English. He enjoys playing video games, watching anime, writing, and of course pizza. His favorite games are Shadow of the Colossus and Final Fantasy IX, but he can’t possibly choose a favorite anime. Jared enjoys following the games industry and observing what will happen next, and he puts out an invitation for discussion on these topics. He loves a great story in these mediums and prefers a stronger narrative design over most features. Jared is personally responsible for creating and managing the Anime section of the website, and hopes to inspired and entertain with everything he writes.